This morning, I woke up to a -3 degree frost at which point I was very glad it was Saturday and that I didn't have to go to work! While dallying over a morning coffee and checking my feeds I came across a post about fold-flat teepee cards by Kim Fee, which really whet my appetite to try making one. Still feeling the cold, I got further inspired by the hot summer colours at Stamp, Ink, Paper this week. After a bit of experimentation, this is where I ended up. And it does indeed fold up nicely to envelope size. Update: Delighted to be a winner at Stamp, Ink, Paper! 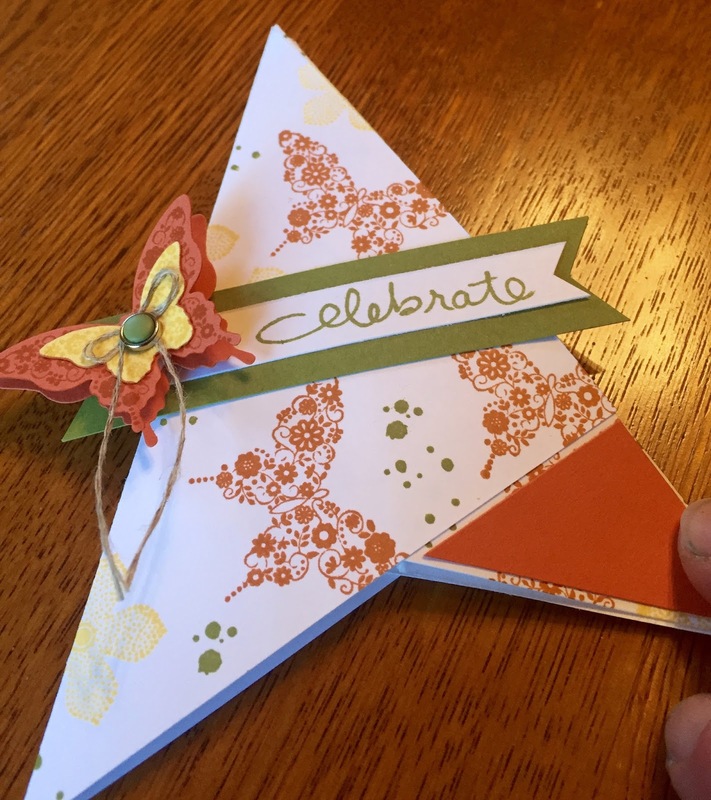 Other: Elegant Butterfly and Bitty Butterfly punches, Candy dot and brad base, linen twine, dimensionals. Beautiful card!! And what a fun shape. I love all the details in your butterfly embellishment. 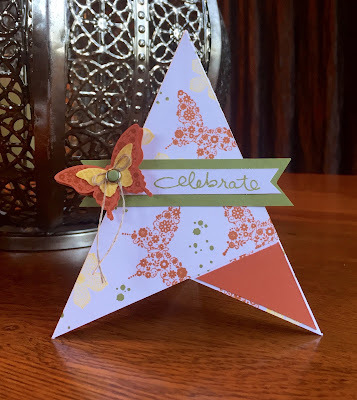 Thank you for joining us at Stamp, Ink, Paper!! What a gorgeous creation Jan! I just adore a fun shaped card and just love your beautiful layered butterfly! 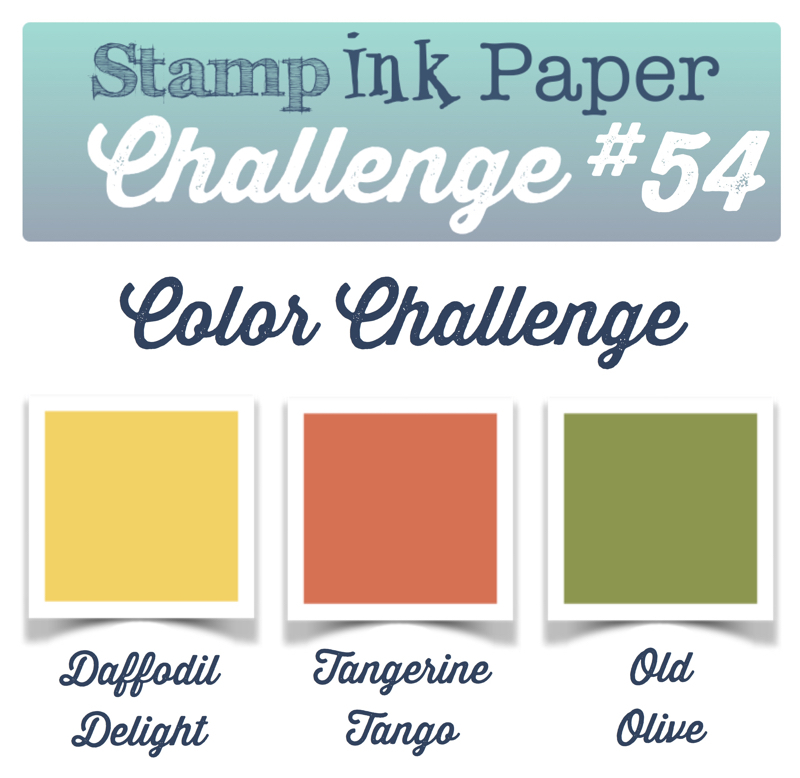 Thanks for playing along with us at Stamp, Ink, Paper this week! 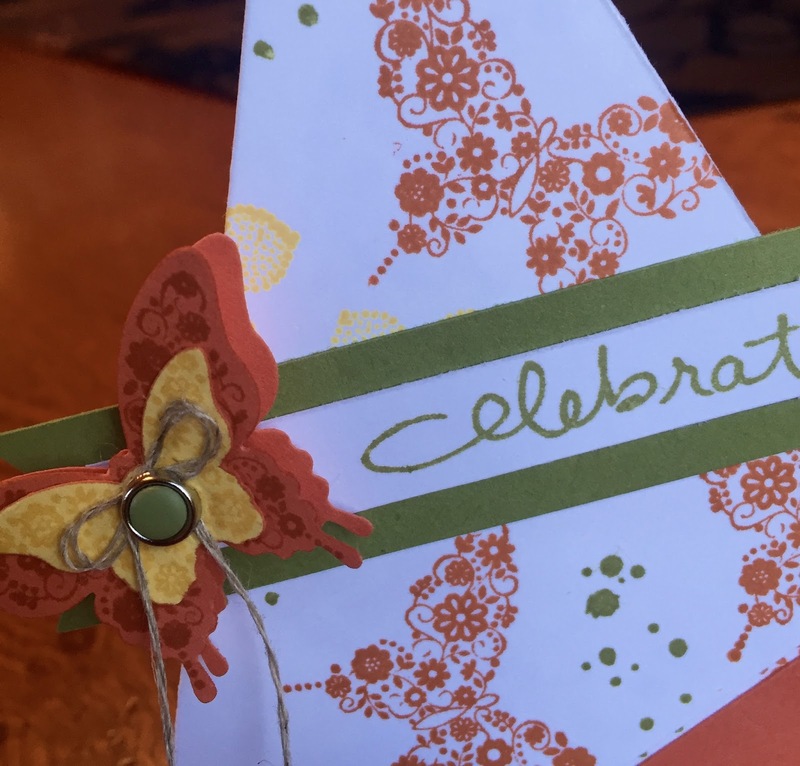 A teepee card, how clever Jan! So pretty too, love the butterflies. 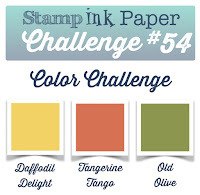 Thanks for playing along with my challenge this week at Stamp Ink Paper!